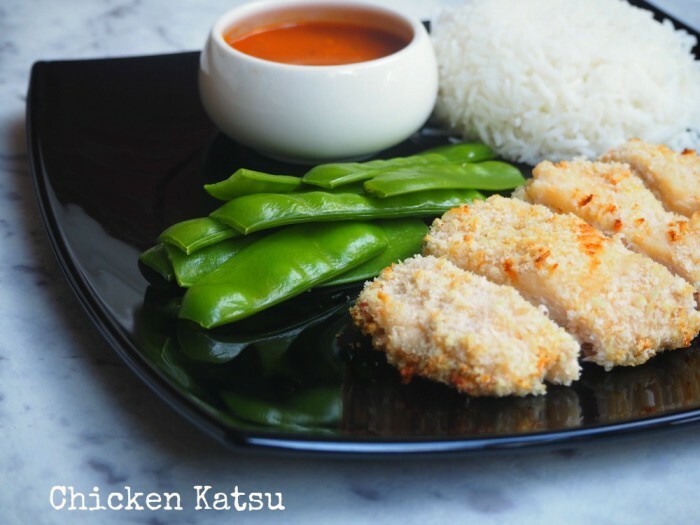 Katsu is a Japanese curry where the chicken is breadcrumbed before cooking. I like this version because it’s relatively low fat, and low calorie because the chicken is baked and not fried! You can find the Thermomix conversion here. Preheat oven to 200 C / 180C fan-forced / gas mark 6. Dip the chicken in the egg, then coat in the cornflakes or crumbs. Space the chicken out on a non-stick baking tray and cook for 15-20 minutes or until cooked through. Put the remaining ingredients in a pan. Pour in 500ml water and heat, stirring, until boiling and thickened. Cover and leave to simmer for 5 minutes. Serve the chicken breasts with rice (and vegetables, if desired.) Drizzle with sauce.